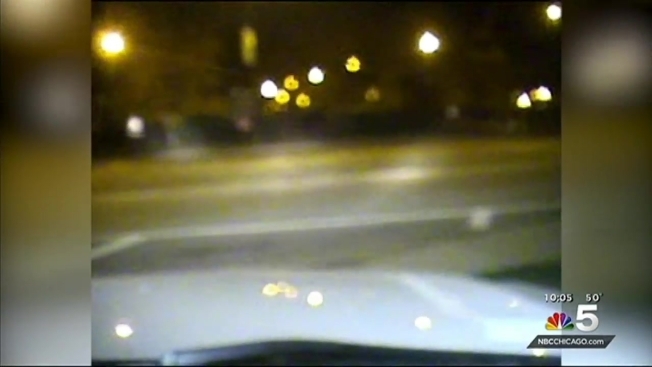 The City of Chicago released four new police dash-cam videos Wednesday showing the moments before the fatal shooting of 17-year-old Laquan McDonald. 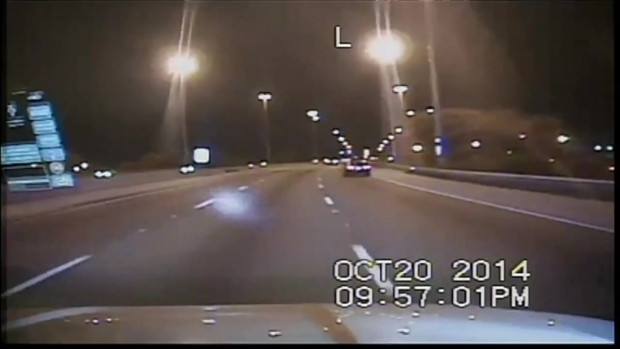 The videos were released in response to a request by NBC 5 under the Freedom of Information Act and come a day after the city met a judge's order to release 2014 dash-cam video of a Chicago officer shooting McDonald 16 times. 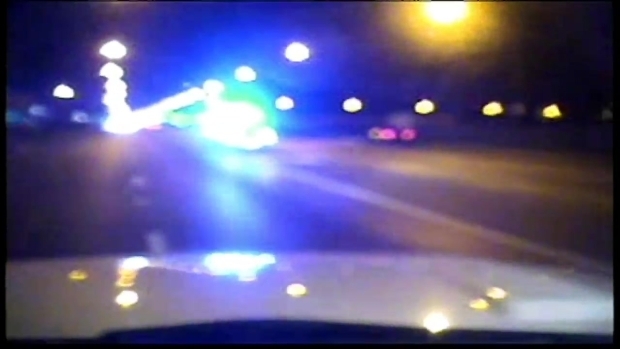 In the newly released videos, McDonald appears to be running in front of the police vehicle of Officer Jason Van Dyke, the officer charged with McDonald’s murder, 30 seconds before the fatal shooting. 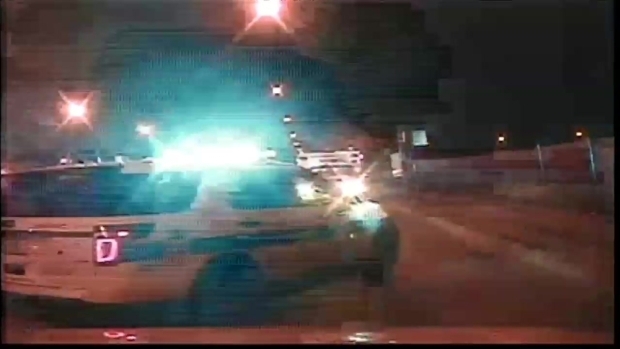 As the video continues, officers pursue McDonald until the shooting, which takes place out of the frame of this dash cam.The video goes on to show officers arriving on the scene after the shots were fired. At 9:58 p.m., just after the shooting, another police vehicle arrives on the scene. The video released from that vehicle shows McDonald's body on the street. Another dash-cam video from a separate police vehicle that was first to respond to the call doesn’t start recording until almost five minutes after the shooting takes place. Police told one of the attorneys representing the McDonald family that five police cruisers equipped with cameras responded to the crime scene that night. However, three vehicles were not recording video. Van Dyke turned himself in to authorities Tuesday morning and was later ordered held without bail in connection with the fatal shooting. Van Dyke is scheduled to appear in court again Monday as Judge Donald Panarese said he wants to see video of the shooting. Prosecutors said in court Tuesday that the shooting happened within 15 seconds, but for 13 of those seconds McDonald was on the ground. 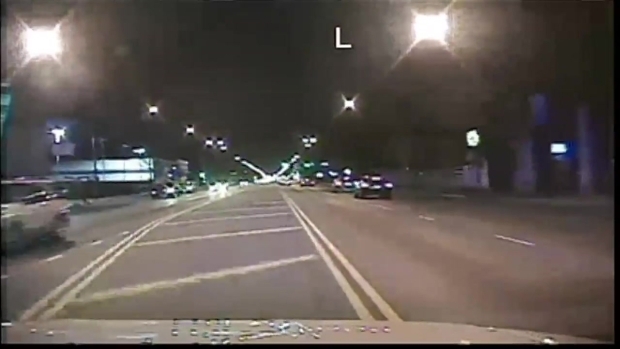 They added the video "clearly does not show McDonald advancing toward [Van Dyke]. "Police said the shooting was in self-defense and that McDonald lunged at the officer with a knife while authorities were investigating car break-ins in a trucking yard. "I’ve been a prosecutor for nearly 30 years," Cook County State's Attorney Anita Alvarez said in Tuesday press conference. "I have personally investigated and prosecuted numerous cases of police misconduct and public corruption, I’ve been involved in hundreds of murder investigations and trials, and I’ve seen some of the most violent and graphic evidence and crime scene photos that you can only imagine. To watch a 17-year-old young man die in such a violent manner is simply disturbing and I have absolutely no doubt that this video will tear at the hearts of all Chicagoans." Attorney Dan Herbert has argued the video alone is not enough to determine if Van Dyke "acted inappropriately" when he fatally shot McDonald, though he has described the footage as "graphic and violent" and "difficult to watch." He said outside the courtroom Tuesday that the case needs to be tried in a courtroom, "not in the streets or in the media." Alvarez revealed that Van Dyke was one of eight officers who responded to the scene on Oct. 20, 2014 after a caller reported a man was breaking into cars and stealing from them on the city's Southwest Side. It was later discovered that the suspect was armed with a knife. Alvarez said Van Dyke was at the scene for less than 30 seconds before he started shooting, and opened fire six seconds after he got out of the car. Van Dyke was the only one of the eight officers at the scene to open fire, she said. McDonald suffered wounds to the scalp, neck, left chest, right chest, left elbow, left forearm, right upper arm, right upper arm, right hand, right upper leg, left upper back and right lower back. An autopsy confirmed he was shot a total of 16 times and had PCP in his system.